UPDATED! 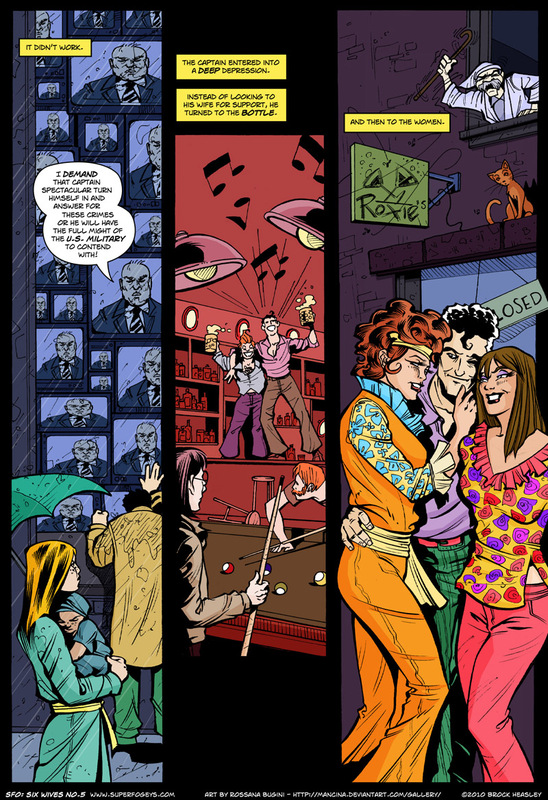 NOW IN FULL COLOR! 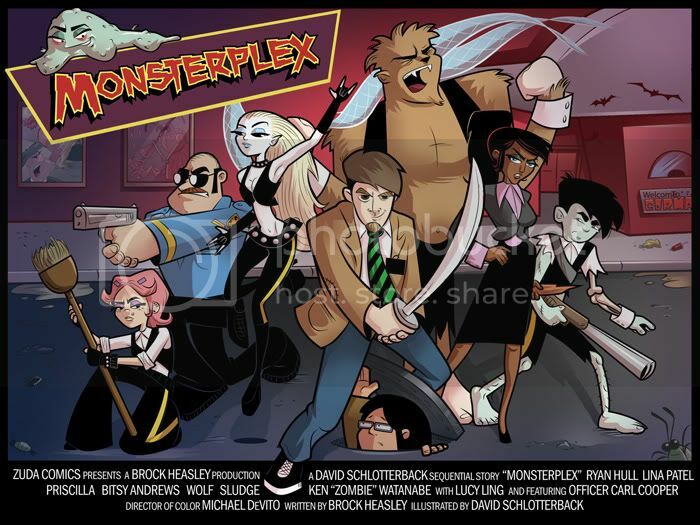 THE MONSTERPLEX PROMO IN FULL COLOR! MONSTERPLEX is really falling behind this week as the number one ranked comic pulled way ahead in the number of favorites. I know we can still catch up! And we can’t do it without you. I’m asking you call to please register, vote and favorite MONSTERPLEX over at Zuda! A dream of mine and a contract with DC Comics is at stake. In a lot of ways, my work on SuperFogeys has lead to this, so your help in this will be greatly appreciated. Today I’m pleased to present the MONSTERPLEX promo! This is something we hope will help get the word out a little easier. Please, take this and post it on your own sites and blogs. I’d love to see this everywhere! Just make sure you also provide a link back to MONSTERPLEX on Zuda so people can go and vote! Thanks! Sorry again for the lack of color. Colorist Jon Conkling is still out of commission. Hopefully we’ll have him back soon! Don’t forget that tomorrow is a special extra SFO update! See you then!